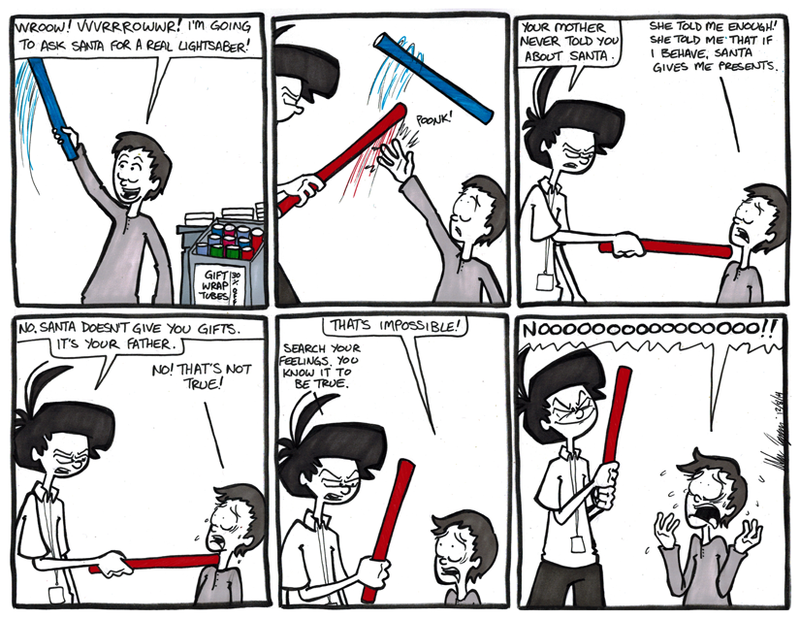 I’m not the only one who makes lightsaber sounds when swinging around a gift wrap tube or a rolled up map, am I? I’m pretty stoked for this new Star Wars movie. The teaser trailer that hit a week or so ago was the perfect amount of tease. I hope they just keep showing trailers like that. We don’t need anything more than a mood set with those. No story, no real quotes, just images and atmosphere.